Alopecia areata is a common autoimmune skin disease, causing hair loss on the scalp, face and sometimes on other areas of the body. 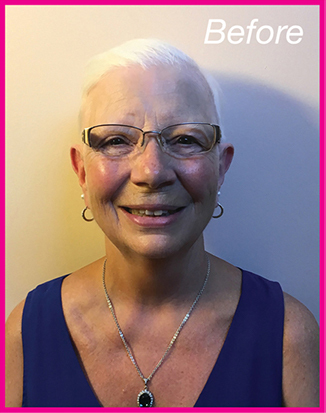 Alopecia affects as many as 6.8 million men, women and children in the U.S.
Kathy Hilbert, our makeover model for October, was diagnosed with alopecia areata about 8 years ago. At first, she must admit that her self-confidence and self-image were quite threatened. Her beautician noticed patches on the back of her head. Slowly, she lost her eyelashes, eyebrows and hair on other parts of her body. She has had some of her hair on her scalp grow back. It will no longer produce color. Kathy has chosen to wear wigs. 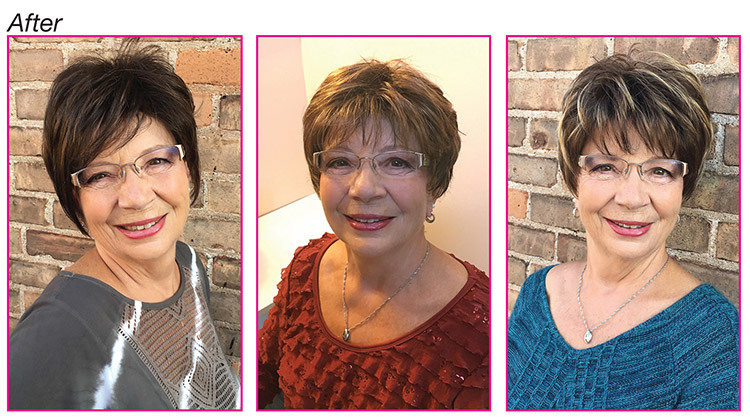 Step A-Head Styling in Waupun is Kathy’s choice for wigs. Julie Patrouille is her God-send. Julie is incredibly helpful in choosing colors and styles that are comfortable for her clients. Julie also teaches how to care for and style your wig. Kathy loves that it saves a lot of time in the morning not to always have to do your hair. Pictured are four of the many wigs Julie has in stock. See how each wig brought out Kathy’s fabulous personality. 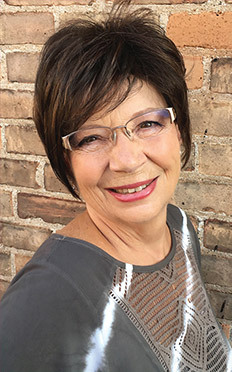 Daune DeVries provided the skin care and color cosmetics for Kathy’s photo shoot. She used the new Mary Kay Precision brow liner and Volumizing brow tint to create a natural brow for Kathy. Rosegold and plum shades highlighted Kathy’s brown eyes. Spice n Nice lipstick, Bold Berry cheek color and mascara finished the look. The National Alopecia Areata Foundation is a reliable source of information and support. You can talk with and meet other individuals who have the same diagnosis and know exactly what you are feeling.